I love this guest post from Celine at Family Can Travel. We “met” on Instagram and have been following each other’s adventures around the globe. Our families like to do the same thing: travel and explore outdoors. 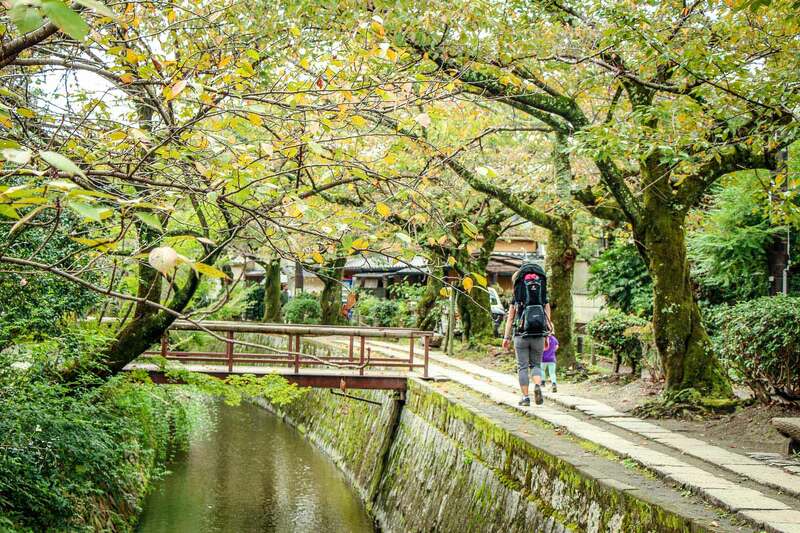 This post on outdoor activities in Kyoto has me desiring a trip to Japan. 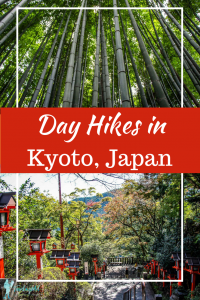 As an active family who loves to be outdoors, we were pleasantly surprised to learn how we could incorporate this into our time in Japan. Our kids may feel differently, but we get extra excited when we can combine being active with cultural experiences. 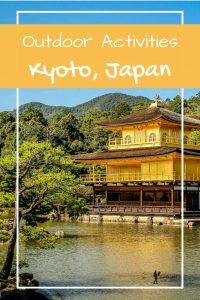 The more research we did into Kyoto, the more we knew we wanted to spend the majority of our two-week trip there instead of Tokyo. 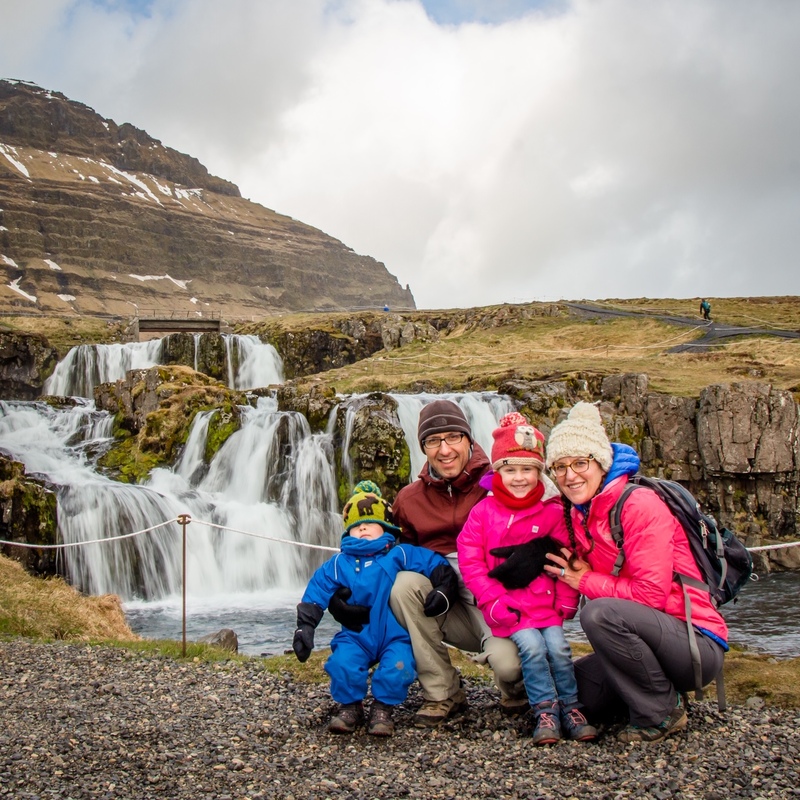 As we eagerly added hikes to our itinerary, we also knew our time would have to be split with giving our three-year-old and 14-month-old time to be kids and play. Thankfully, we had very few issues making this a reality in Kyoto and felt like we were able to keep everyone happy during our time there. 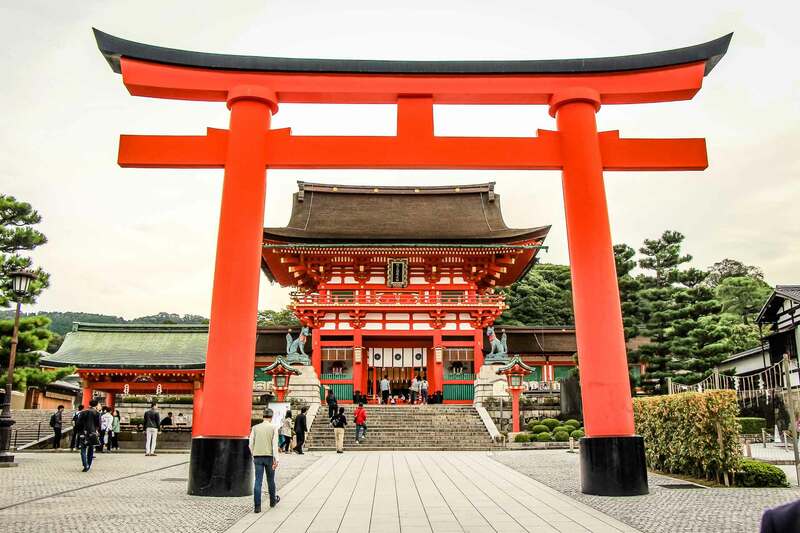 The Fushimi Inari Shrine is one of the top visited sites in Kyoto and is not to be missed. The trail up Inari Mountain starts through thousands of torii gates. This trail is mostly stairs all the way up to the Yotsutsuji intersection and beyond, but it makes for easy hiking. You’ll find most people turn around at the Yotsutsuji intersection, but it’s worth it to keep going. Once past this point the crowd thins out and you’ll enjoy hiking through the trees. There are some temple complexes worth walking through at the top as well. Tip: Take advantage of jet lag and arrive early. The Fushimi Inari Shrine gets very crowded. Standing amongst the towering bamboo stalks is such a unique experience and makes the Arashiyama Bamboo grove another of the top sites visited in Kyoto. 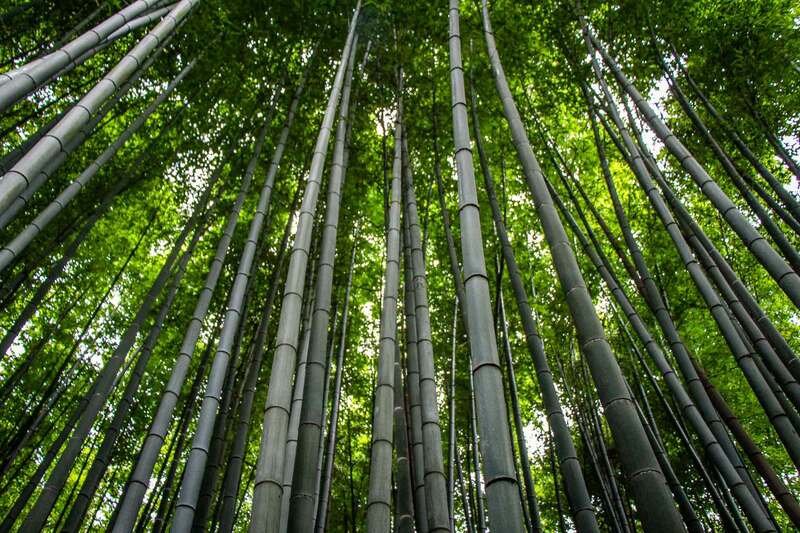 Arashiyama Bamboo Forest won’t take you long to walk through, but it’s still worth a visit. On a nice day, you can continue on to Arashiyama Park for some stunning views and a walk along the Ōi River. 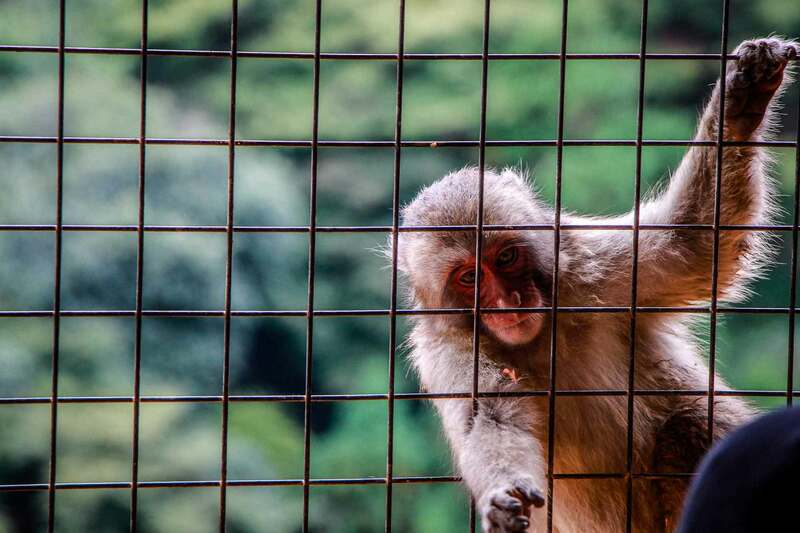 The Monkey Park Iwatayama is home to over 100 macaque monkeys. 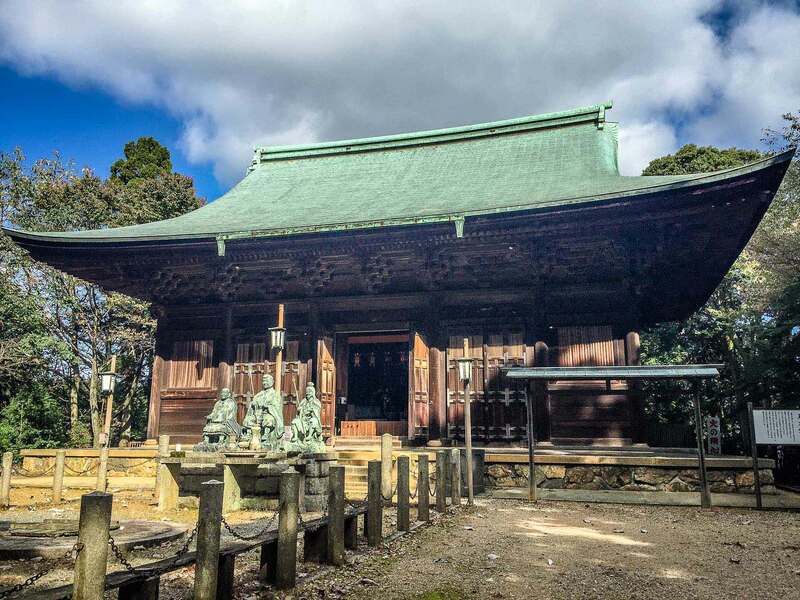 Since we weren’t looking to visit any other temples on this day, we decided that pairing the Monkey Park Iwatayama with the Arashiyama Bamboo Forest would make for the perfect day outing. The hike up to the monkey park is steep but it’s short. At the top, you can feed the monkeys from inside a building. Some of the monkeys can be aggressive so it’s important to keep a close eye on small children, especially when walking around at the top. The staff do a great job at keeping an eye on the monkeys and warn you which ones to steer clear of. Hiking up Mt. 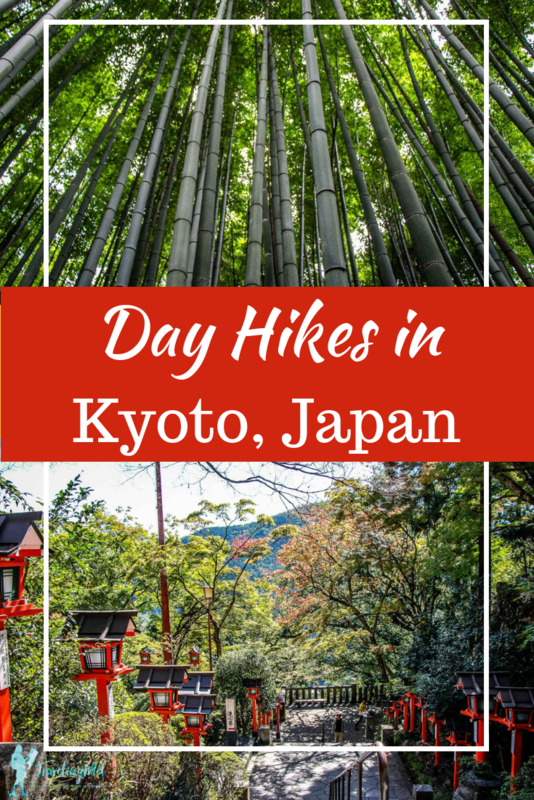 Diamonji-yama is a short hike with great views of Kyoto. Mt. Diamonji has some significance to the Obon Festival that takes place in Kyoto every August. 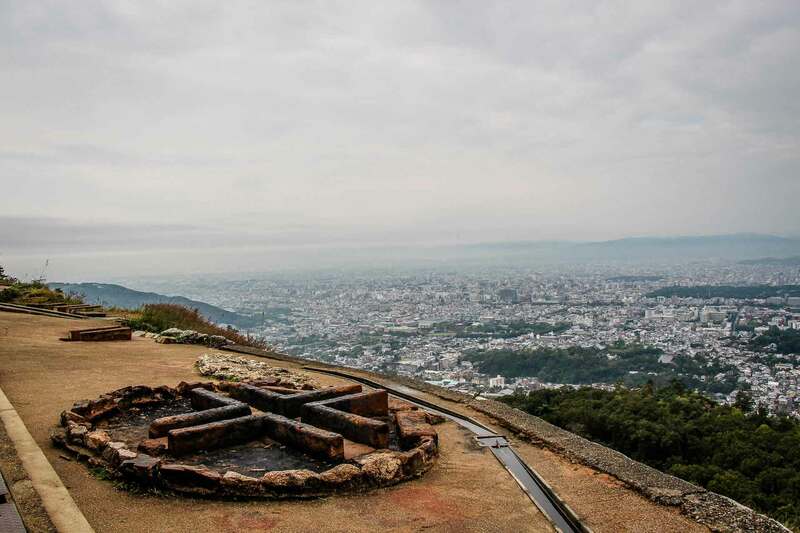 Part of this festival is five bonfires lit on the mountainsides that surround Kyoto, Mt. Diamonji being one of them that you can see throughout the city. Another reason to add a hike up Mt. Diamonji is that it’s close to Ginkakuji and the Philosopher’s Path, making for a full day adventure. Hiking up this trail, you instantly feel in nature and on a clear day the views from the top are worth every step! We saved our stop at Ginkaku-ji (Silver Pavilion) until we descended from our hike up Mt. Diamonji. We had stopped here first, but there were large school groups waiting to go in. We found it to be equally as busy when we came back. Nonetheless, the crowds didn’t take away from the peaceful feeling of walking around Ginkaku-ji. 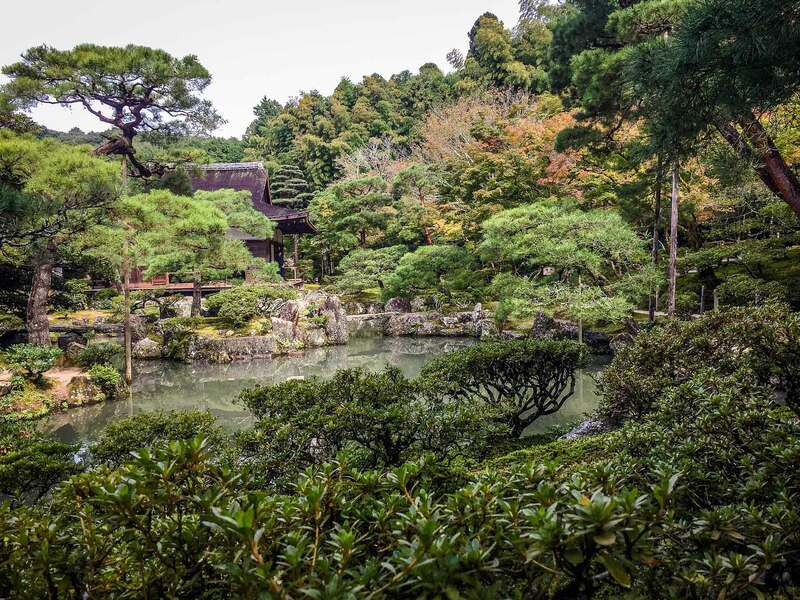 It was one of the most beautiful temple gardens we walked through in Kyoto. To keep our Zen-like feeling going after Ginkaku-ji, we walked down the Philosopher’s Path. The Philosopher’s Path was named after Japan’s most famous philosopher who used to walk the path and meditate on his way to work. This beautiful tree-lined path follows the canal and is a stunning, yet short walk. We could only have imagined how the beauty of this path is intensified by the blooming cherry blossom trees in the spring. 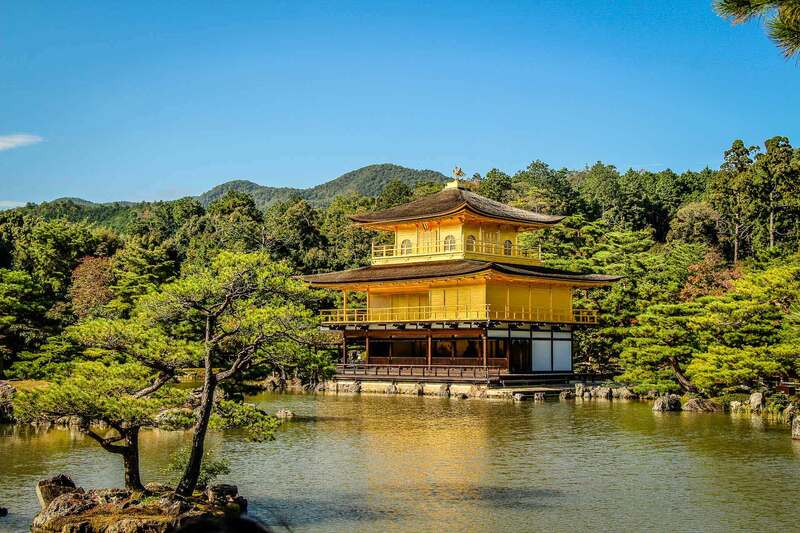 Images of Kinkaku-ji (Golden Pavilion) are one of those iconic views of Kyoto. 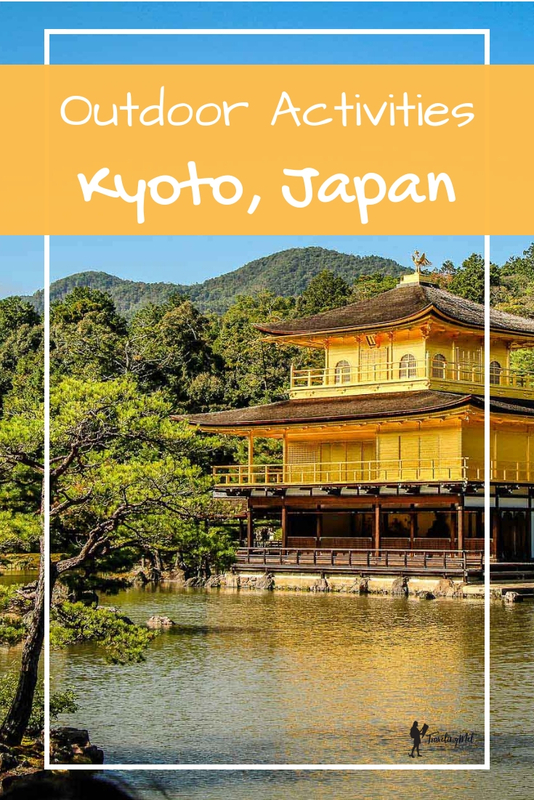 Kinkaku-ji is a Buddhist temple and one more of the most visited sites in Kyoto. Tourists flock there to get a glimpse of the shimmering gold building surrounded by a beautiful garden. As with most other popular places in Kyoto, expect crowds. Aside from taking the time for pictures of the golden temple, we followed the path through the garden. It wasn’t a very long walk so overall our visit was pretty short, but thankfully we got to experience this stunning temple on a clear blue sky day! It did not disappoint. Hiking up to the temples on the mountain behind the Daigoji Buddhist temple was easily the most difficult hike we did while in Kyoto. What started out as steps quickly turned into switchbacks as the trail weaved its way up the mountain. At the top we were rewarded with views, quiet temple complexes that were fun to explore and of course, very few other people. We could tell the trail was steep on the way up, but it wasn’t until we started our way down that we were able to fully grasp how steep it was. A workout with kids on our back! After several days around Kyoto, it’s nice to spend some time away from the crowds. Taking the Eizan Railway to Kurama is a beautiful train ride and worth it alone. 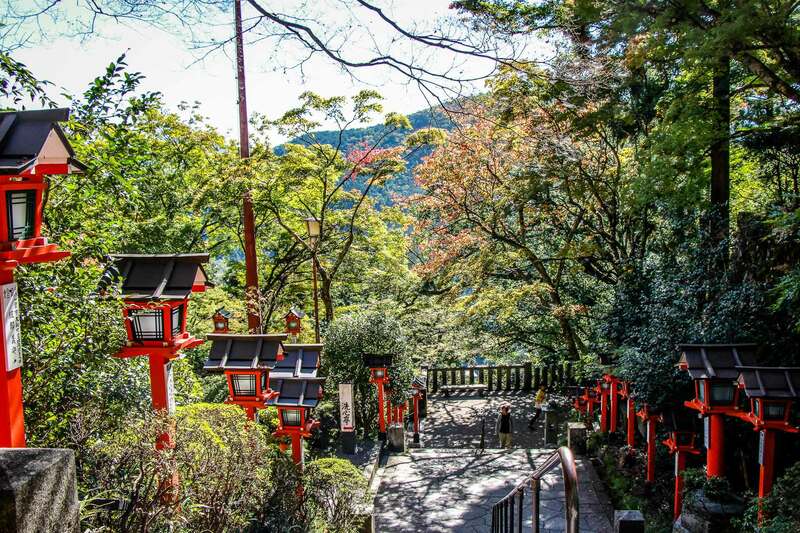 Once in Kurama, be prepared for it to be steep and more stairs all the way up to the Kurama-dera temple. 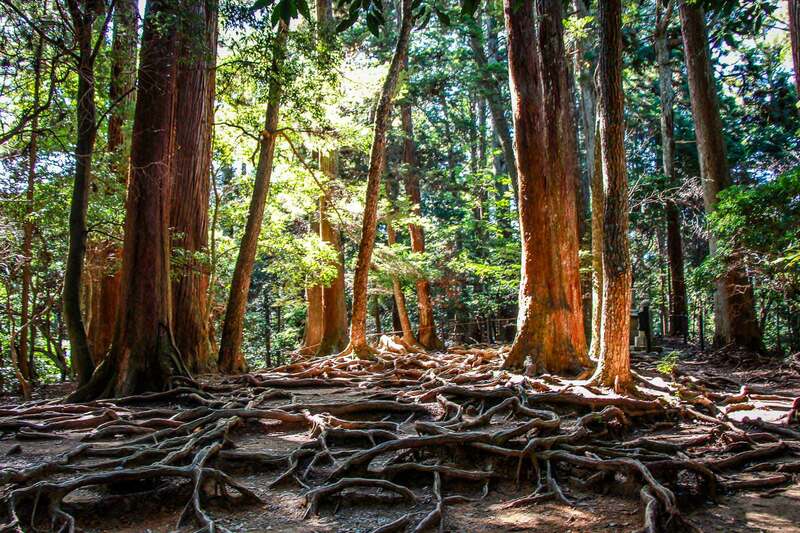 Past the main Kurama-dera temple the trail becomes a proper hiking trail with plenty of tree roots to navigate over. 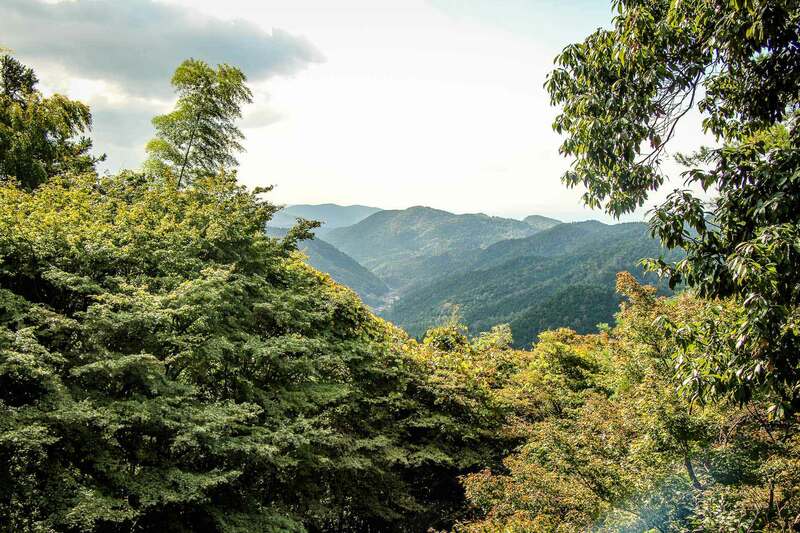 From there, it’s a steep decline to the charming town of Kibune – a perfect place for a lunch stop. To get back to Kyoto there are two options: hike back to Kurama station or take a bus from Kibune to Kibuneguchi station. 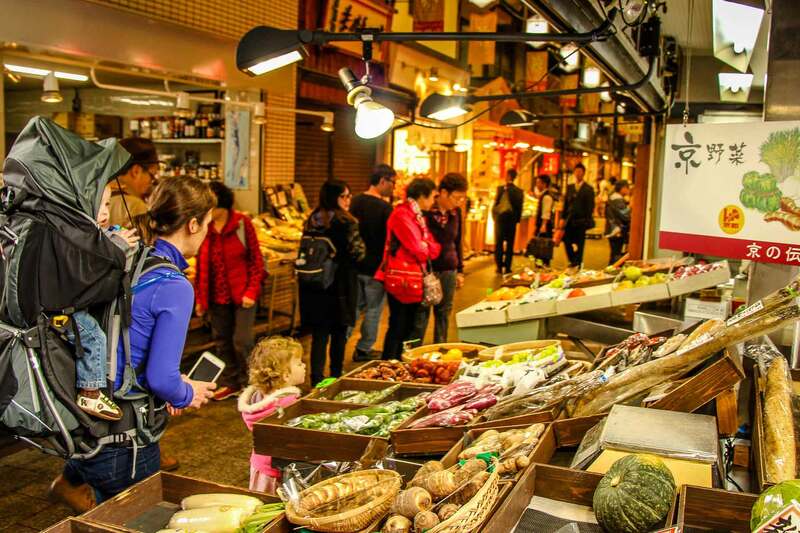 Local markets are always fun to explore and the covered Nishiki Market was no different. It’s especially fun for kids to walk through with so many fun things to see and smell. This made for a great outing on a rainy day. To keep our kids entertained and enjoying their time, we made sure to let our daughter (who was three-years-old) walk any of the easy trails. For the more difficult hikes, we switched off between carrying our three-year-old and letting her hike. Our 14-month-old wasn’t walking yet, we made sure to give him time to explore as well. Aside from the market, which they really enjoyed, we were easily able to find playgrounds in Kyoto along the way to stop and give our kids time to play. Our kids especially liked interacting with the local kids at the Kodomo Mirai Kan indoor playground (for kids six and under). If you are in Japan, you may want to visit a ryokan onsen or hot spring inn. Celine Brewer writes at Family Can Travel: We are a Canadian family always on the search for our next outdoor adventure. We love to explore with our two kids around the globe and in our backyard of the Canadian Rocky Mountains! We aim to inspire other families to get outside and find active adventures wherever they might be! Find us at our website or on Instagram.